I don’t normally do engagement sessions so close to the wedding day (ok, I never do them this close lol) but because of the distance between us, it was a few days out or never. I always suggest engagement sessions because it helps me get to know the couple (and vise versa) and it’s really beneficial for the couple to get comfortable in front of my camera so when the wedding day arrives they are already pros! 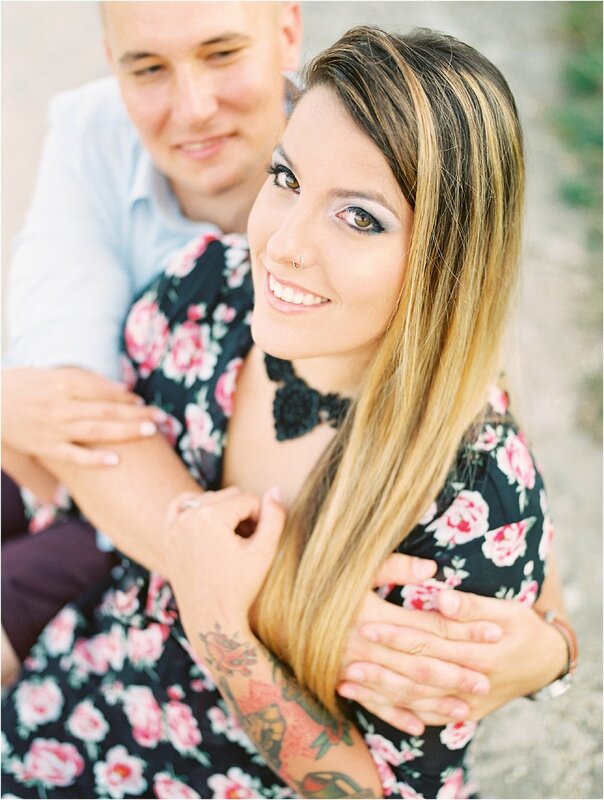 I was so excited that Barbie and Attila planned for the time to do engagement photos while I was there. 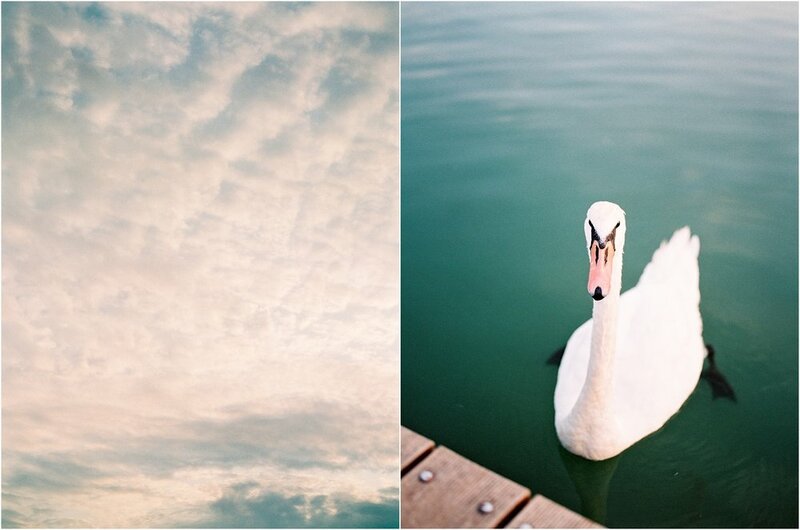 We shot the majority of these images in Tihany. Tihany is a beautiful little village with the best views of Lake Balaton, the lake Barbie spent so much time at while she was growing up, and also where the wedding venue was located (across the lake). 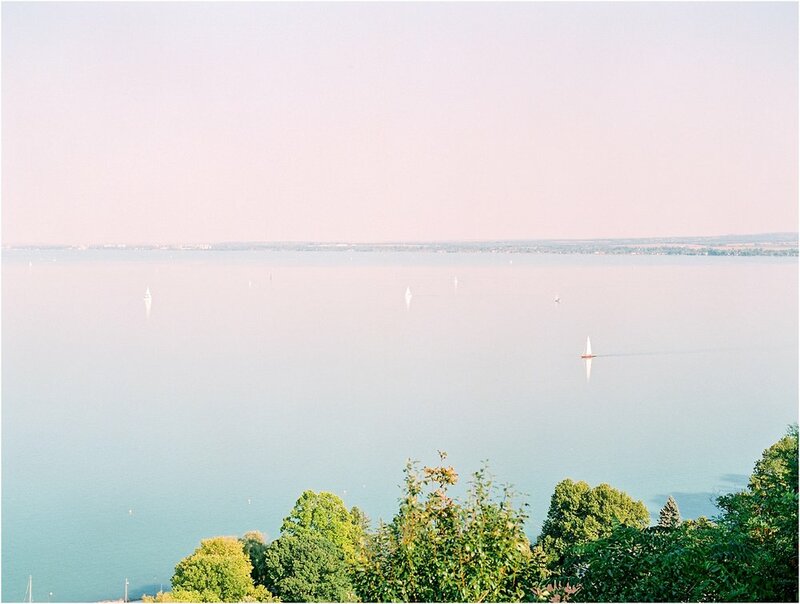 Tihany is romantic and charming with its cobblestone streets, rose gardens, and lavender that grows wild… I discovered a love for lavender ice cream while I was there and we even incorporated it into some photos. After Tihany, we went down to the lake and took a few more photos as the last of the daylight slipped away. 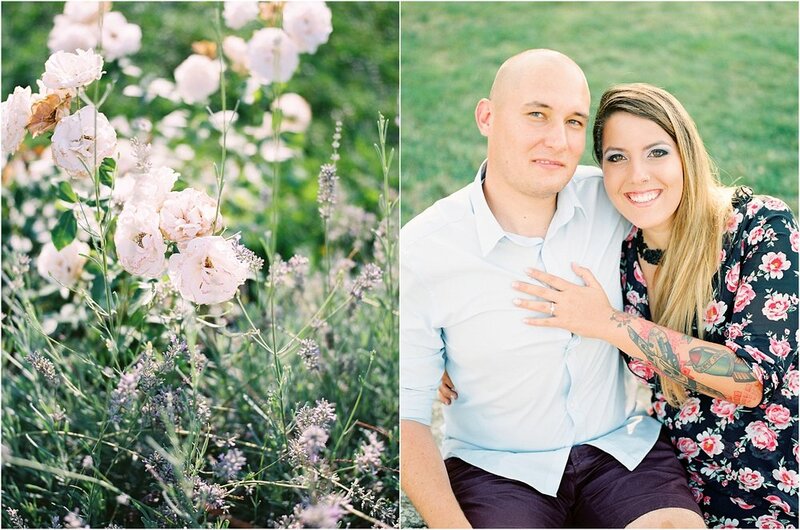 I recently got my film scans back and am so excited to share. 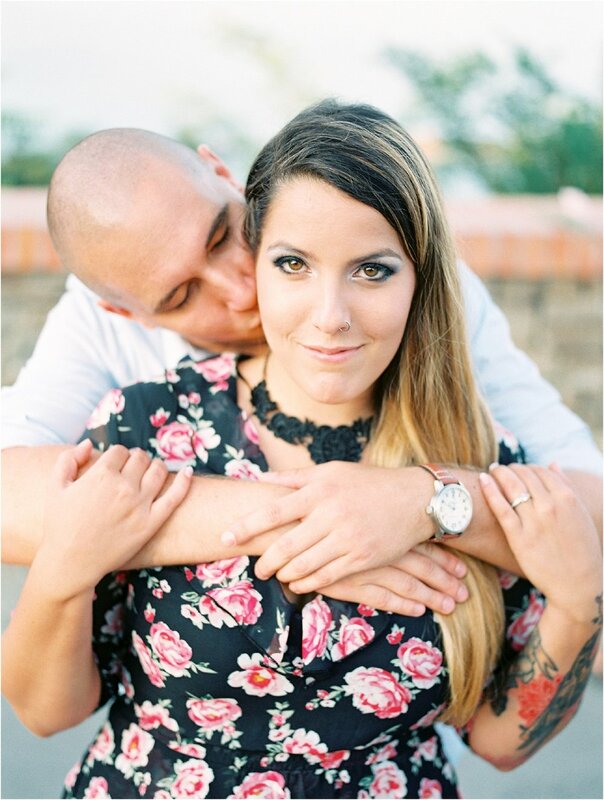 Make sure to stay tuned to the blog because Barbie and Attila’s beautiful wedding is up next!